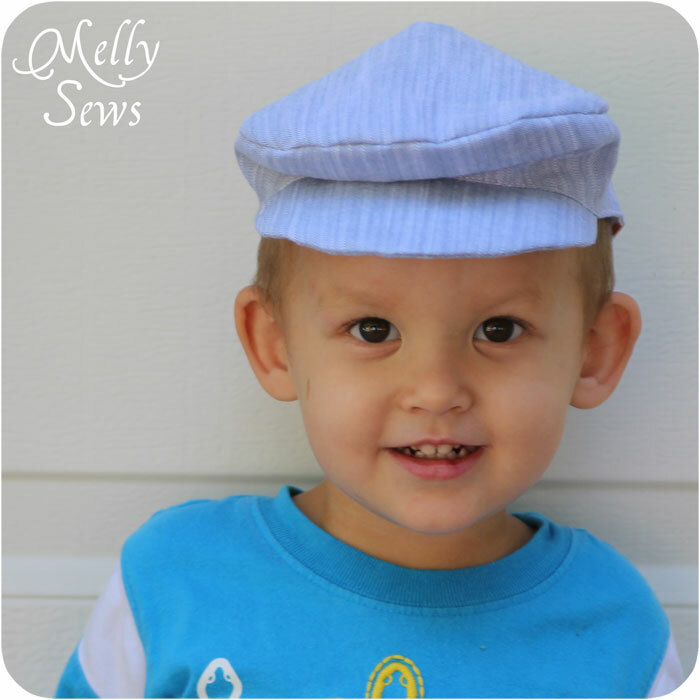 Day 3 of Hat Week and I have a free pattern for you! 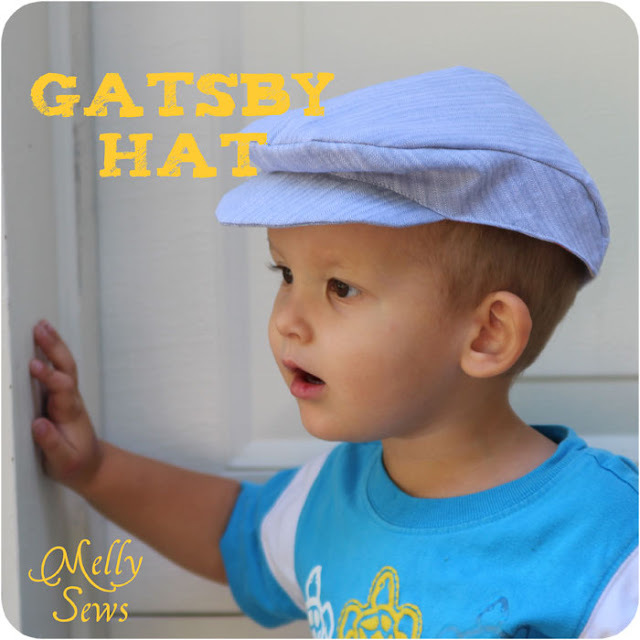 I wanted a Gatsby style hat, like Robert Redford wears in the movie (Side note: is anyone else sad that the Leonardo Dicaprio version release has been pushed back AGAIN?). 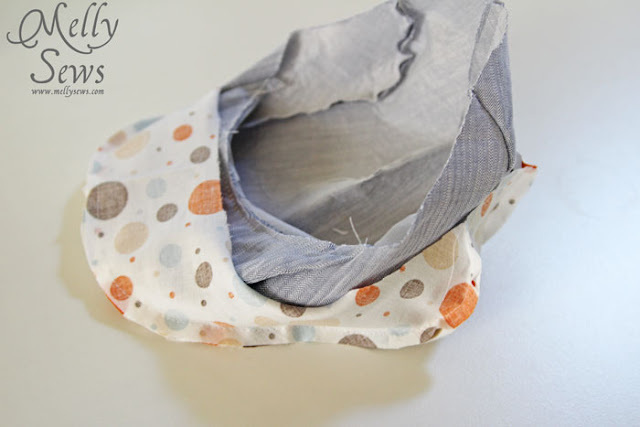 I was inspired by this tutorial at about goodness, but her version is for a size 22 1/2″ head, and Bean’s is only 19 1/2″. So I took a good look at her construction and then drafted my own pattern. So, for your 19.5 inch (slightly loose fitting – so you could use it for a 20″ head as well) version, keep reading. And if you need a good adult version, go over and check out about goodness. 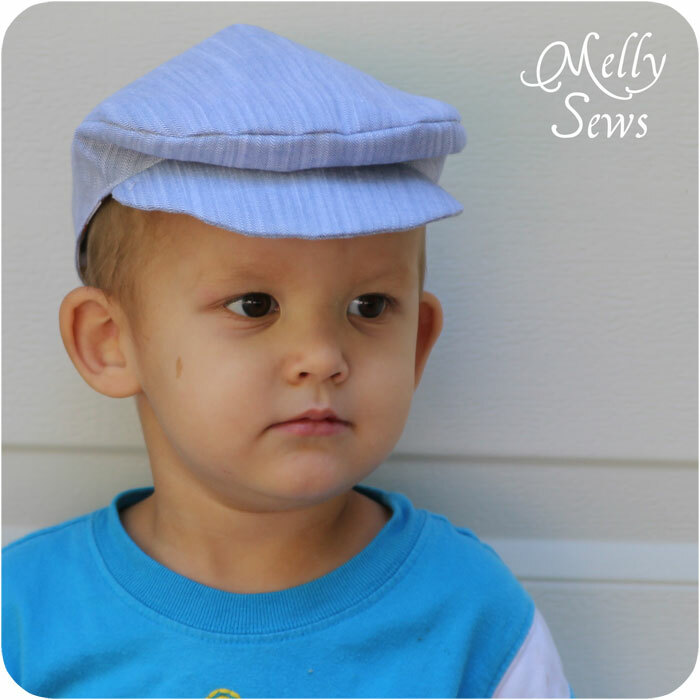 To download the pattern, subscribe to the Melly Sews Weekly Newsletter. 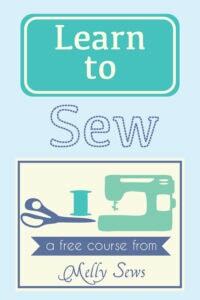 AFTER you sign up, you’ll get a confirmation email – and you have to confirm or my email service can’t send you the free pattern. 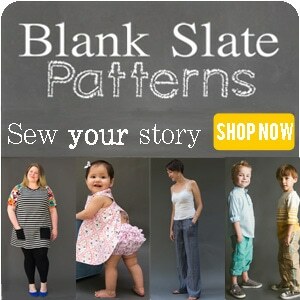 But once you do confirm, you’ll get access to not just this but several other free patterns. Woot! Print all pages on standard paper. I’ve found printing works best if you open this pattern with Adobe Reader, which is free to download. You may have another program on your computer that reads PDFs, but it may not print the right size. I know, because when I try to print this off my Mac in Preview, I get very different sizes depending on lots of things. Trust me, save yourself the headache and use Adobe Reader. Make sure that “Auto Rotate and Center” is checked and that “Scaling” is NOT checked. These may be hidden in drop down boxes – make sure to find them! If you live outside of the US, print the pages to your standard paper size. The pattern lines may be shifted slightly but you should be able to match up the symbols and lines. There is a circle symbol on the pattern to help you match up pages. 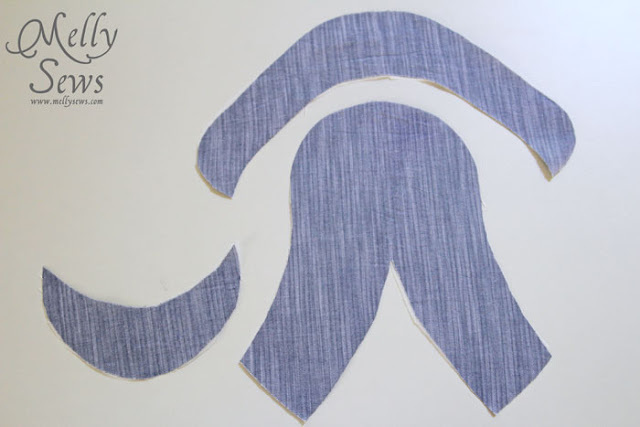 To connect the pages, trim to the edge of the borders (there should be a gray border around each pattern piece) and tape the pages together at the circle symbol. Next, cut your pieces according to the instructions on the pattern pieces. Two of the pieces need to be placed on the fold. When you are done, you should have 4 main body pieces – the side band, the crown and two brims. Iron interfacing onto the back of one of the brims and the other two pieces. Pin, starting at the center front , and lining up raw edges all the way around the dashed line sides. 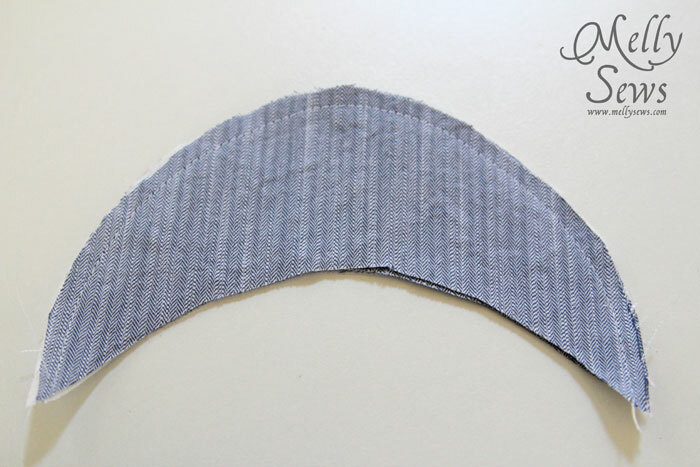 Sew around this seam, then turn hat right side out. 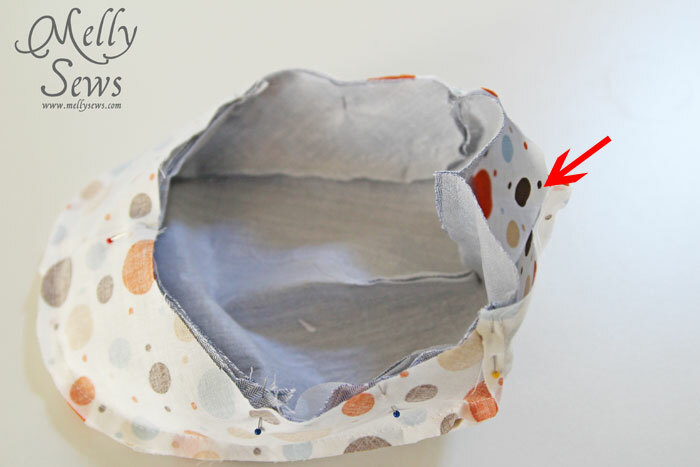 Note: all seam allowances are 1/4″. Pinch the upside down V in the crown together, and sew, tapering off the edge when you get to the point of the V.
It’s a good idea to try it on for fit at this point; if it’s too big you can take in the seam you just made a little more.Now, sew the two brims together, right sides together, around the longer edge. 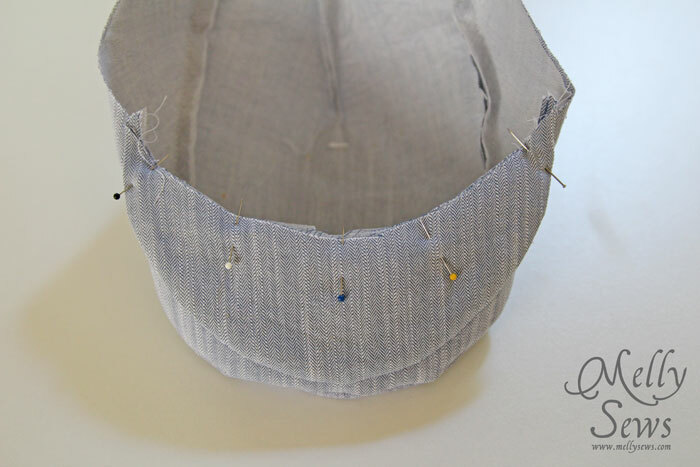 Insert the buckram into the brim. Buckram can have a tendency to catch the threads on your main fabric; be patient and it will be possible to work it into place. If you’re just doing a quickie project and don’t want to buy buckram (I had some around from The Man With the Yellow Hat) you could also use a couple layers of heavy interfacing to stiffen. 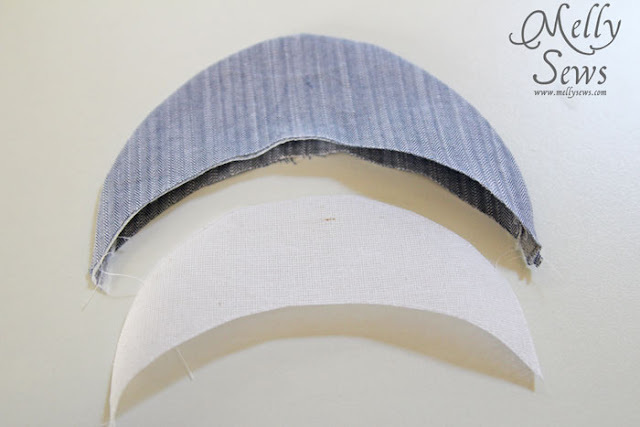 Pin the brim to the underside of the side band, matching the center front lines. Pin, then sew in place. 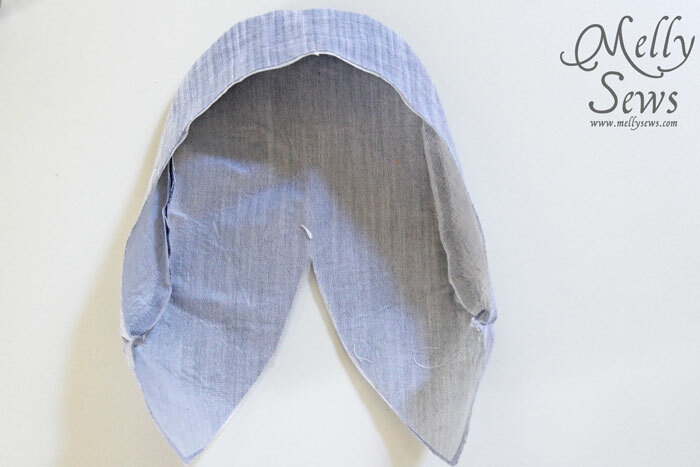 Prepare the lining the same way as you did the main hat. 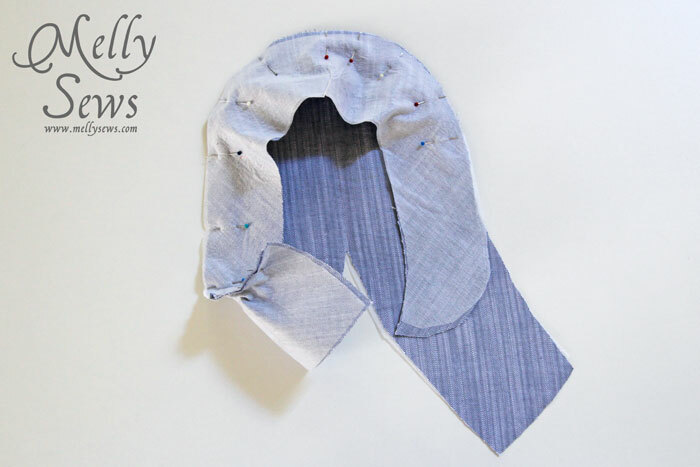 With the lining inside out and the hat right side out, insert the hat into the lining. 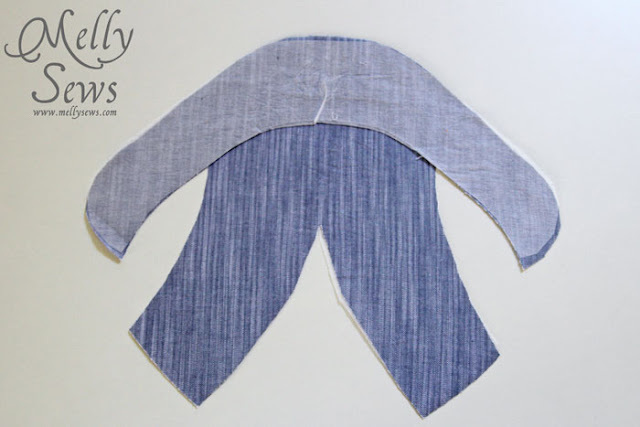 Pin the edges together, matching seams. Leave space in the back (red arrow) unsewn to turn the hat right side out. Stitch. Turn the hat right side out. Push the raw edges to the inside 1/4″ and pin. 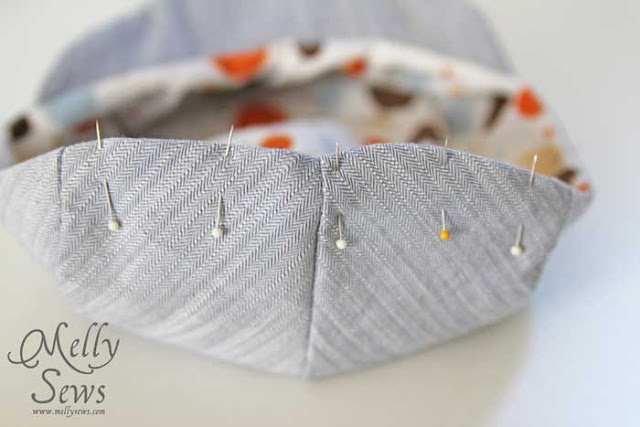 Topstitch around the circumference of the hat, right next to the seam above the brim. This topstitching will close the opening at the back of the hat. Put it on your cutie’s head, because you’re done! I just made your hat. Thanks so much for the tutorial. My son has almost the exact same head size. 🙂 Unfortunately when I tried it on him it was huge! I used the same seam allowance of 1/4″ that you did. Any idea what I might have missed? Any suggestions on how to make a tuck at the back or something so that it will fit? Thanks! Do you know how many times I tried to figure out this pattern by myself over the years, I could never quite get it right! So happy you came up with it! Well done Melissa! I sewed 3 of this style using Novelty fabrics and fussy cuts it. Each time I adjusted the circumference size; adding 2 cm to accommodate growing head (fm 48cm actual fit without elastic band, 50cm & 52cm). The trick is to add a short length of elastic band at the back for better fit. My 6 mth old grandson could wear all the 3 sizes looking super cute. 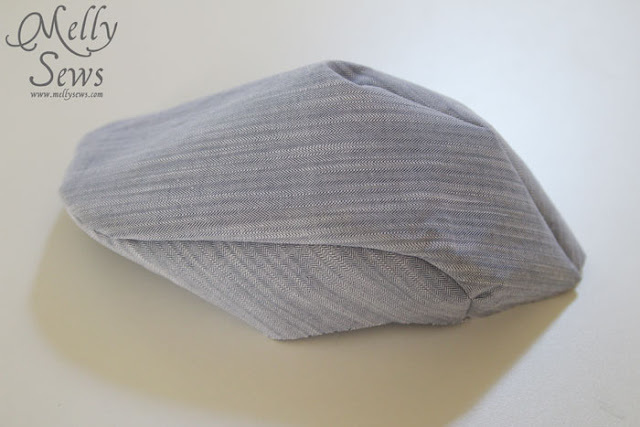 Made the hat….and I love it! That is genius! Unfortunately, it is too big for my nephew, but fortunately it fits my son! Thank you so much! Thank you so much!!! I just made it in a half hour!! Can’t believe how quick and easy it is :O!! Thank you thank you thank you <3<3 :)!